I am happy to see you are offering titles to help bring Christ to the Muslim community. Living for the past 8 years in Kuwait, I am surrounded by Muslims. Although I have read several books on Islam, this one looks like it just might be the best one available. Thanks for blogging and being so generous. Looks like a good book for Christians willing to engage in faith discussion with the Muslims in a intelligent way. An important volume to add as a witnessing tool and apologetic resource! Thanks for the opportunity to win! I haven't read this book, but have heard about, and would love to read it. 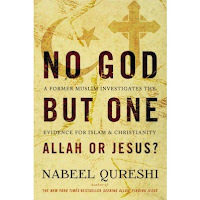 I follow Nabeel Qureshi on Facebook and was very saddened to hear about his stomach cancer. I'm very interested in reading his new book. The excerpts I've read have been good. Would love to win this book! Thank you for your blog. 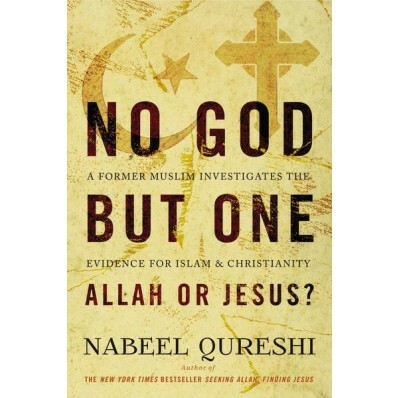 Thank you all for entering to win a copy of "No God, But One" by Nabeel Qureshi. As some of you may have heard, Nabeel announced that he has stomach cancer and according to him, the outlook is grim. Please join me in praying for him. I have contacted 4 of our 5 winners via Twitter. Eddie Eddings (I couldn't find you on Twitter! ), you won as well! Please email me your mailing information at truthbombapologetics@gmail! Thank you all for your participation and readership!